Wine has a rare quality among all our foods and drinks:It can improve for years. 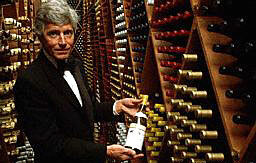 Good wine can get better, but not all wine improves with age, and wines age at different rates. time to drink it. For instance, some Spanish and Italian wines are matured for long periods in cask and bottled when virtually ready to drink. Bottle-age adds little if anything to these wines for they are already mature when bottled. Wines such as vintage port are bottled after little cask-ageing and need long years in bottle to mature. Others, such as red bordeaux, spend up to two years in new oak casks, then must spend more years in bottle.